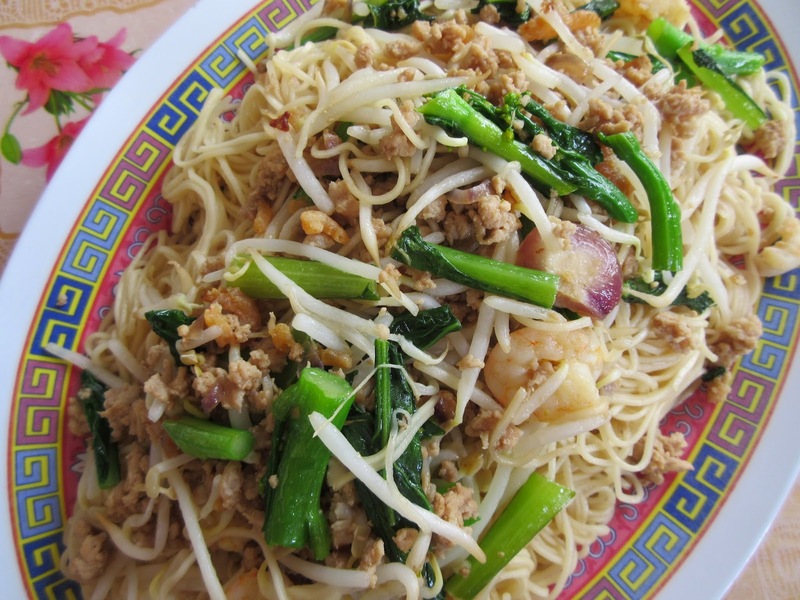 Wong Tai Mee literally translates into King's noodles. 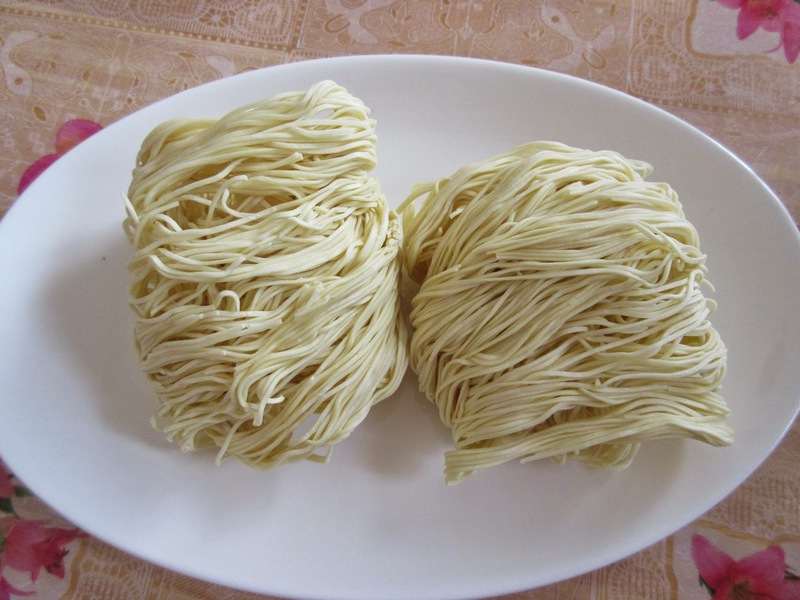 They are dried egg noodles folded conveniently into a ball. I said it is very convenient because I always estimate each ball of this wong tai mee for one person. I stocked up on a fair amount of dried foodstuff including this dried wong tai mee in advance for the festive season knowing most eateries are closed during the first few days of the Chinese New Year. I cooked this for brunch since everybody woke up late. 1. Bring half a pot of water to the boil. When boiling add in the egg noodles and boil for 3 minutes or according to instructions on the package. Drain away the boiling water and rinse noodles with running water. Drain well and set aside. 2. Heat wok until very hot. Add in 1 tbsp of the cooking oil and stir fry the bean sprouts for 1 minute. Dish up and set aside. 3. In the same wok, add the remaining 4 tbsp cooking oil. Saute sliced shallots until lightly brown. 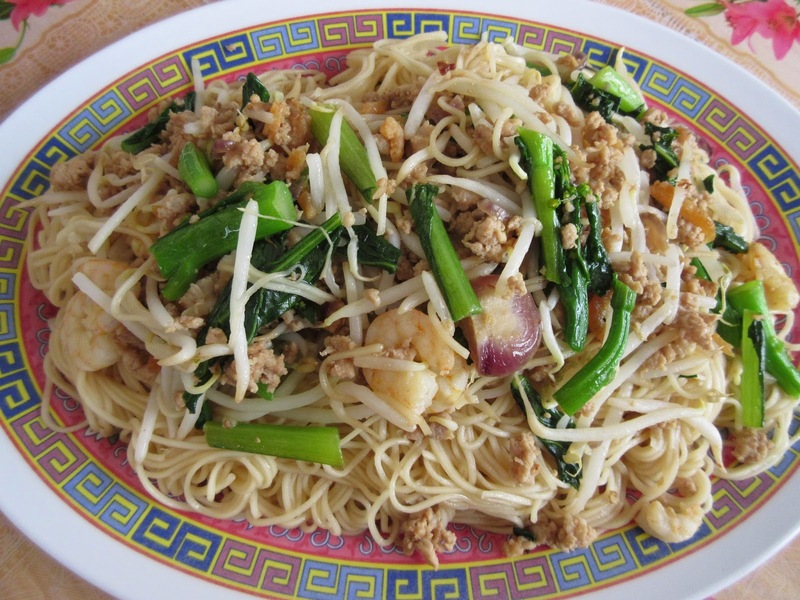 Add in minced pork and stir-fry until the minced pork is broken into smaller pieces. Push this aside and add in dried shrimps and fresh shrimps. Continue to fry and add in mustard greens. Mix everything together and add sauce ingredients. Allow this to simmer for 2 to 3 minutes. 4. Add in the par-boiled egg noodles. Use a pair of wooden chopsticks to toss the noodles to ensure they are well coated with sauce. Continue to toss and mix until noodles are dry. 5. Dish up and serve with cut chilli padi in soy sauce. 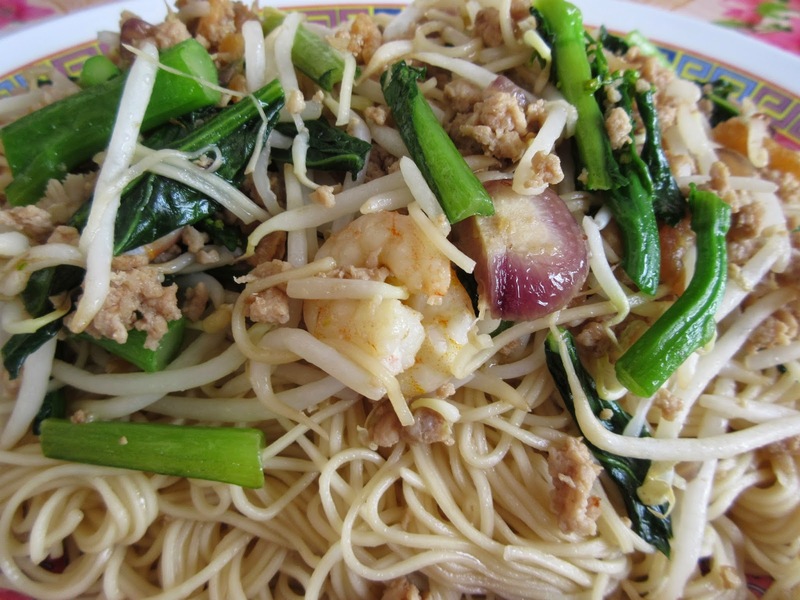 Serve this with cut chilli padi in soy sauce. Yummy ! !